Fast and efficient development of mobile applications for multiple platforms is neither simple nor cheap. Developers may use a variety of tools for this purpose. 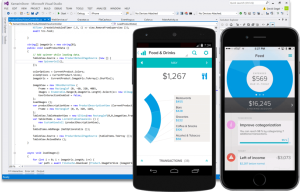 At eMan we bet on Xamarin, which came under the wing of Microsoft just a few days ago. In this series, we will gradually introduce this tool to you in detail. After the introduction of the first iPhone in 2007 and the subsequent formation of the AppStore an entirely new business opened up: the development of mobile applications. The Android platform was soon added to the iOS system, which was followed by the improved Windows Mobile and other more or less successful mobile systems. With the new hardware, both the applications themselves and the method of their development have gradually improved. Xamarin allows developers to create applications for the three most widely used platforms (iOS, Android and Windows) and to use the knowledge of the C# environment eg. for writing different kinds of applications in Visual Studio or the use of existing libraries available perhaps on NuGet. The heart of Xamarin is built on an open source project called Mono, whose “father” is Miguel de Icaza. It was originally administered by the company Novell, then Xamarin operated as a separate entity. 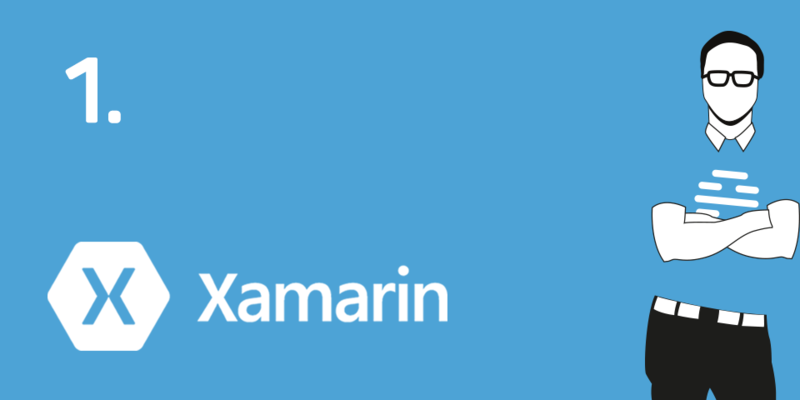 Xamarin was bought by Microsoft on 24 February 2016. Mono is based on the ECMA standards for C# and the Common Language Infrastructure and allows you to write cross-platform applications. In 2009, the ability to create iOS apps was added to the existing Mono libraries that, unlike traditional libraries, compiled into machine code targeted at iOS applications. Soon after iOS also added the possibility of developing applications for Android (named monodroid). Here a different kind of compilation than for iOS is used (JIT compilation). The Xamarin framework has expanded considerably since its establishment, – since 2011 it has been actively used by over a million developers. Recently (currently the 4th generation version is available) additional tools for development have also been added to it. These include Xamarin Insights (for monitoring) Xamarin Test Cloud (for Unit and UI tests) Xamarin Profiler (for monitoring memory) and others. These tools allow the developer or company to offer a complete solution for creating applications. In the following articles you will gradually learn about all the important information regarding the Xamarin Framework, from the development of applications in both available IDE: Xamarin and Visual Studio through the technique of writing the common application core and UI to the possibility of monitoring and deploying applications before and after their release. Last but not least, we will also focus on Unit testing.